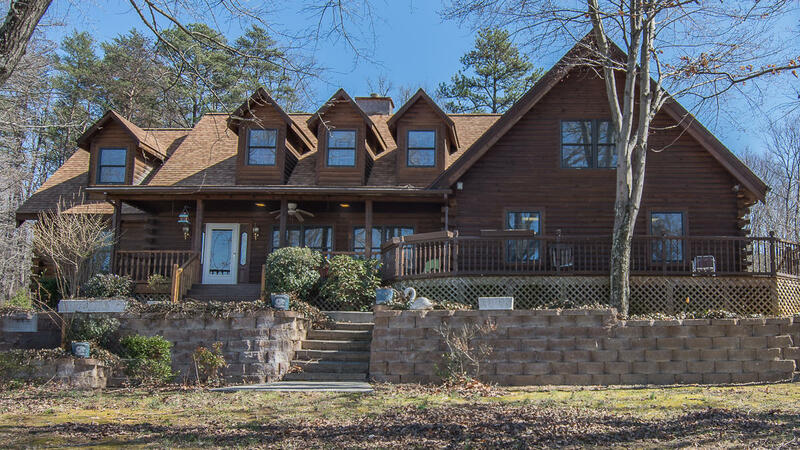 Move into the Log Home of your dreams on ACREAGE in a high demand LOCATION! Two Masters that also includes an Apartment/In-Law Suite with full kitchen. Relax, Cook and play in the outdoors wrap around decks and PRIVATE lot. Paved driveway, resealed fall 2017, leads you to attached and detached garages for plenty of parking. Inside you will find fun open spaces to gather such as the Dining room and Florida room flowing through the back of the house with abundant windows to bring in the sunlight. The Great room greets you with an amazing central fireplace design.